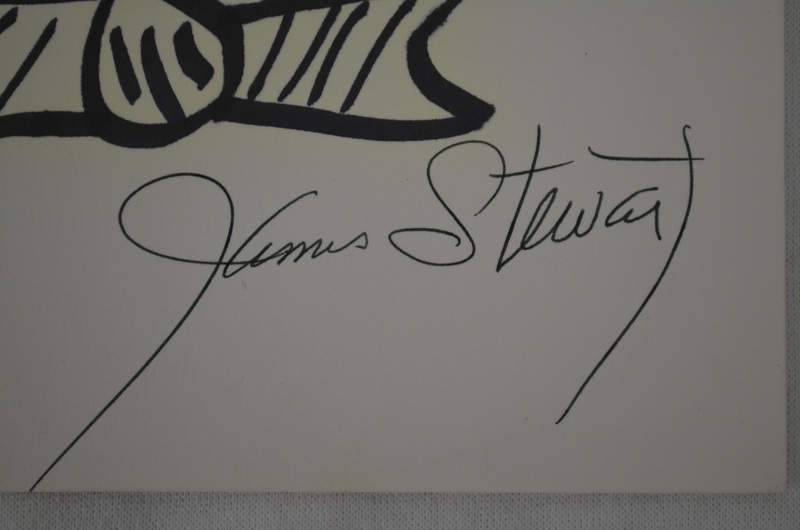 This lot features a drawing of Harvey the Rabbit by James Stewart that has also been signed by Stewart in black pen. 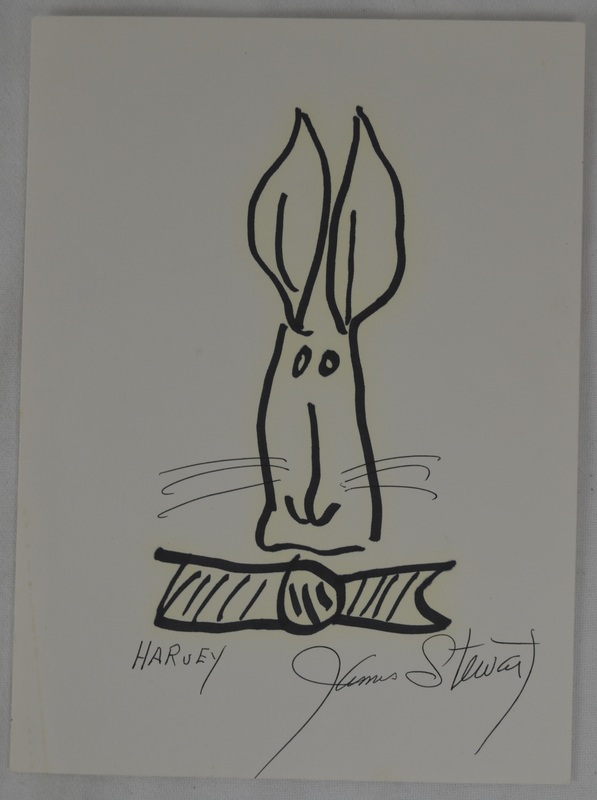 Harvey is a 1950 comedy-drama film based on Mary Chase's play of the same name, directed by Henry Koster, and starring James Stewart and Josephine Hull. 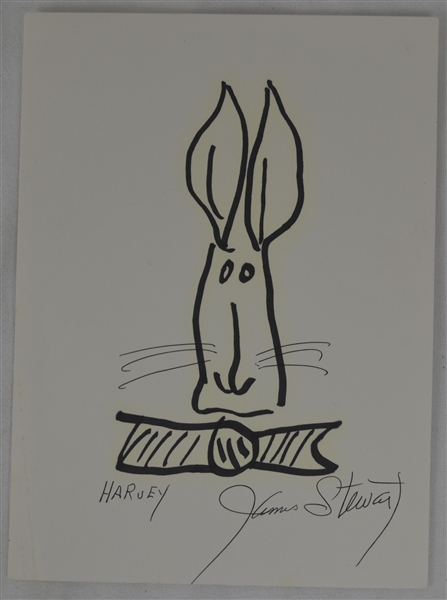 The story is about a man whose best friend is a pooka named Harvey — in the form of a six-foot, three-and-a-half-inch tall invisible rabbit.